Since 2012, about 80 specialty societies have released Choosing Wisely (CW) recommendations aimed at reducing the use of low-value, unproven, or ineffective medical services. The extent to which these recommendations have influenced the behavior of physicians and patients remains largely unknown. 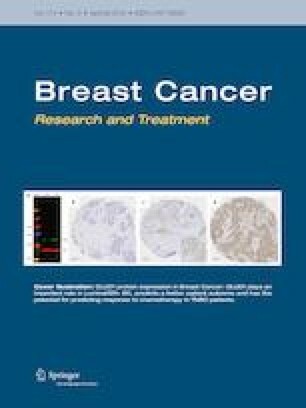 Using MarketScan Commercial Claims and Medicare Supplemental and Coordination of Benefits databases, we identified annual cohorts of women with incident, early-stage breast cancer and estimated the prevalence of four initial treatment and six surveillance metrics deemed as low-value breast cancer care by CW. Multivariable logistic regressions were subsequently used to estimate temporal trends and regional variation in the use of these metrics, with a special focus on the year of CW’s publication. There were 122,341 women identified as undergoing treatment for incident breast cancer between 2010 and 2014. Two of the four low-value initial treatment metrics and four of the six low-value surveillance metrics declined significantly over time. The temporal trend of declining use, however, preceded the release of CW’s guidelines. Declines ranged from 11.0% for follow-up mammography to 40.6% for receipt of surgical biopsy without an attempted needle biopsy. There were marked regional differences in use of low-value breast cancer care for all metrics, much of which persisted after publication of CW. With two notable exceptions, use of low-value breast cancer care has declined steadily since 2010. The declines, however, were not accelerated by the publication of CW recommendations. JN: conception, design, and interpretation of the data and drafting of the article. AN: provision of study materials, critical revision for important intellectual content. TY: interpretation of the data, critical revision for important intellectual content. EM: analysis and interpretation of data, critical revision for important intellectual content. MN: analysis and interpretation of data, critical revision for important intellectual content. LP: provision of study materials, conception, design and interpretation of data, critical revision for important intellectual content. The authors gratefully acknowledge the financial support from Medical College of Wisconsin (MCW) and NIH-NCI grant R01CA190016. While MCW supported this research, the institution did not have a role in the design of the study or preparation of the manuscript. None of the authors has a competing or conflicting interest regarding the manuscript. Per 45 CFR 46.101 and the MCW Institutional Review Board, this study did not meet criteria for human subjects research as it is a public and deidentified data set.